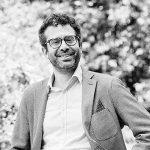 Dr Matteo Millan is Associate Professor of Contemporary History at the University of Padova (Italy). Before coming to Padova, he obtained postdoctoral fellowships to carry out research in Oxford and Dublin. He has studied the Intelligence network of the Italian Resistance movement and the fascist squadrismo (“The institutionalisation of squadrismo“, Contemporary European History, 2013; Squadrismo e squadristi nella dittatura fascista, Rome 2014). In 2015 he was awarded a major grant from the European Research Council and is now engaged in a broad research project dedicated to investigating “The Dark Side of the Belle Époque. Political Violence and Armed Associations in Europe before the First World War”. PrewArAs, which he coordinates, focuses on forms of political violence and various armed associations in Europe in the twenty years leading to the First World War.